- A critical error has been fixed. This error occured when using the program with a large value of the tolerance factor. - The program has been carefully tested in CIVIL 3D environment. The detected errors were fixed. - The program settings have been extended. In particular, the ability of selecting layer has been added. 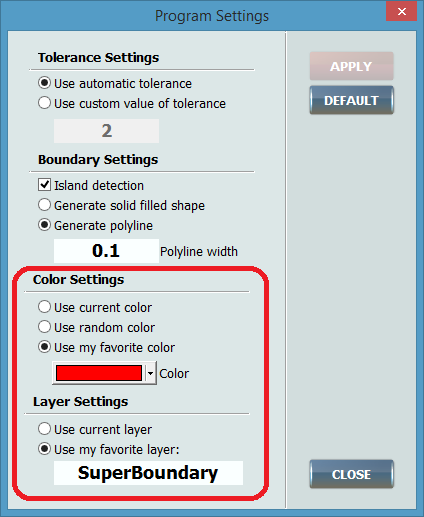 The option of selecting current layer and current color was added too.